DropShipping is a retail fulfilment method where a retailer/seller, whether online, offline or both, ideally does not hold stock. When a customer buys a product, the seller immediately buys it from a supplier, who dispatches directly to the customer. The seller never sees or handles the product. They want to make better use of a portion of their capital by keeping it liquid, rather than tying it up in stock. 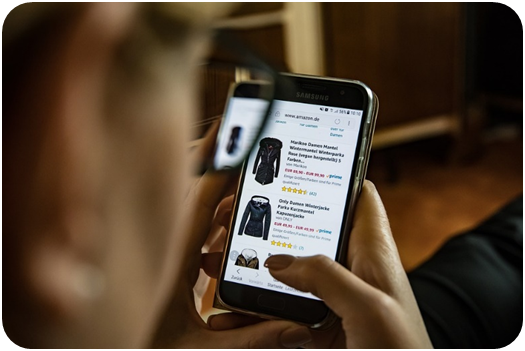 Retailers sell DropShipped products wherever you can sell online – Some might even offer the products for next day delivery from their brick and mortar retail locations. Sellers might have their own eCommerce website, or they might sell through online marketplaces. Amazon, eBay, Wish, Groupon – they might sell through just one of them, or they might sell on all of them. The DropShipping model supported over $85.2 billion of sales in 2017 – Imagine if you could take just 1% of that! We’re expecting at least half of online retailers (at least partially) to adopt the model in 2019. That might be to eliminate their warehouse overheads, to try risky products without investment, or just to make life easier. With clever choices of suppliers, there’s also the opportunity to expand worldwide. UK sellers can sell in New Zealand (for example) and avoid prohibitive shipping costs by using a supplier located nearby. This helps maintain and increase the reach of their brand. 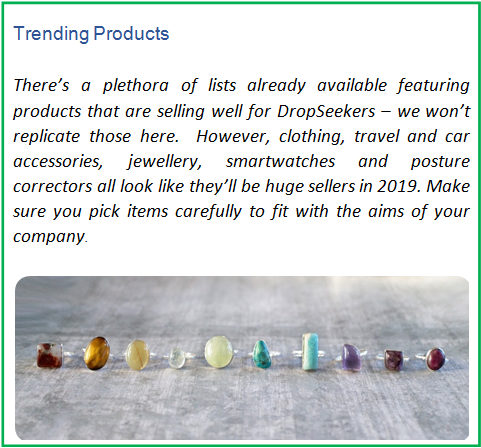 With DropShipping as part of, or all of your business, the opportunities to increase sales and profits – both domestic and worldwide – are endless. Are There Downsides to DropShipping? Let’s get straight to it: DropShipped items generally return smaller profits on an item-for-item basis. That might put some sellers off, but the benefits do outweigh the costs. Adding DropShipped items to their inventory means increased customer interest with no long-term investment in stock. The customer can’t see the difference, they just know who is offering the product they are looking for. And of course, if their preferred seller has the item, they are more likely to place an order with them than bothering to shop around. There are many reasons a customer might choose to shop with a competitor, but DropShipping can help reduce those reasons. Suppliers have told us they have struggled with sellers not paying their bills. However, when it works well, suppliers benefit from increased sales volume, allowing them to reduce production and shipping costs by increased volume discounts. This is, of course, without needing to invest more of their own money in their own eCommerce brand. They do admit, however, that there are challenges that can come with that increase as well. 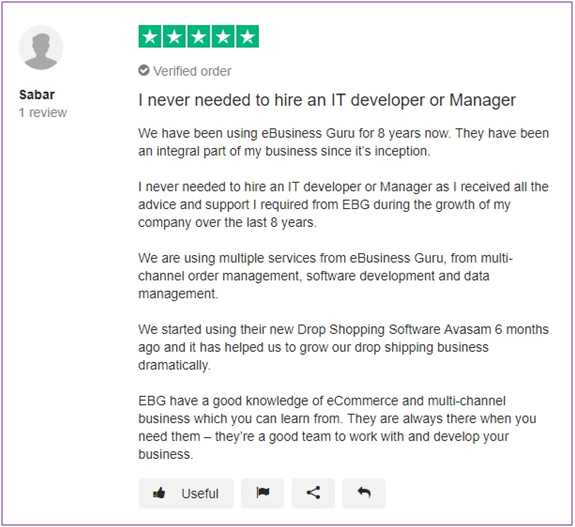 Both sellers and suppliers have told us they found DropShipping tricky, or have been put off by horror stories. Finding reliable partners, getting paid, creating, learning and supporting bespoke tools and procedures have all caused problems in the past. There’s a lot of room for human error and delays that impact on customer satisfaction and can attract negative reviews. Solutions seem to be popping up everywhere: Shopify is promoting Oberlo, Bigcommerce have apps in their app store, and many, many more. 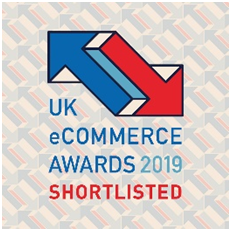 But they are all bespoke tools, and getting connections between marketplaces, suppliers, shipping providers and payments right can be tricky. Make sure you do your research, even if you are part of your target market! Knowing the demand in the market will ensure you’re more likely to be successful with the products you’ve chosen. Customers who are looking for fast fashion copies and lookalike products in the UK are more likely to head for known retailers. Counterfeit products aren’t just unethical, they’re illegal in many countries. It’s not worth the risk, so we’d advise finding another product. While trending products can indicate what might sell well, they might not be the right fit for you. If you want to go that route, make sure you’re doing your homework and use tools to make informed decisions. Marketing will bring your customers to your store, or marketplace listings, although great marketing alone isn’t enough. Well-worded listings, a great customer journey through your website and easy payment methods are essential to get customers to buy. Make sure you’re focusing your attention enough in the right places – put your marketing first, and your profits will follow. It’s important to pay attention to Customer Service AFTER the sale as well. Follow up with your customers, and if there’s an issue, be prepared to deal with it, and your DropShipper. You need to continue a great customer experience and ensure loyalty from the customer moving forwards. 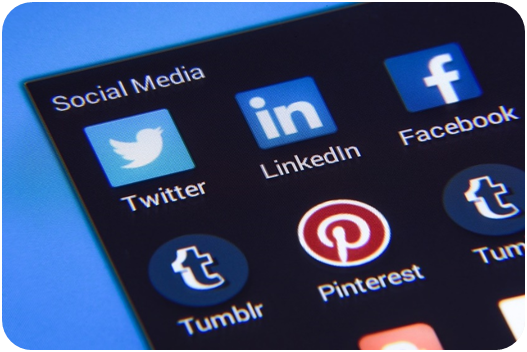 Use your social media, and apps to continue to ensure the reviews from your customers are excellent. Building trust will build repeat custom, and good word of mouth and reviews are crucial. To put it simply – Avasam handles everything you need for DropShipping, whether you’re a seller or a supplier. We’re offering Avasam to our existing clients, but new clients, and eCommerce start-ups are joining daily. 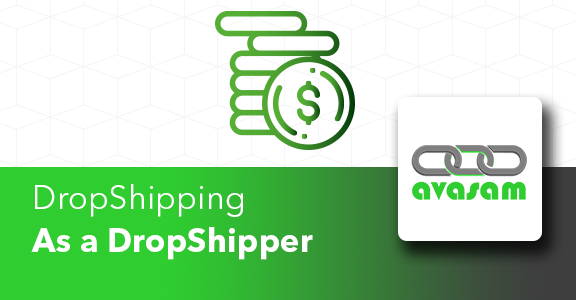 With so many benefits of DropShipping for both sellers and suppliers, Avasam is a low-cost solution to start DropShipping quickly. How do I know Avasam is Any Good? Our beta period concluded in the summer of 2018, when we quietly opened Avasam to our clients. Since then, we’ve had a steady stream of DropShippers and DropSeekers signing up. It’s easy – just get in touch. 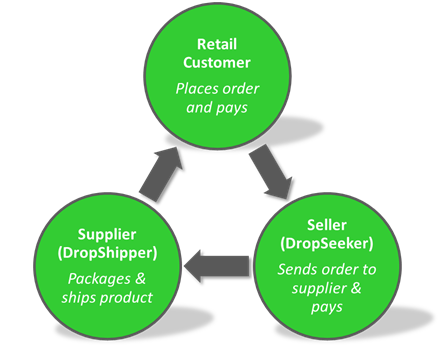 For DropShippers, we provide a complete implementation process and training. Suppliers are typically live within three days – we integrate and configure existing systems, with no interruption to business as usual. All that is required is the ability to fulfil orders from your location. For sellers, the process is even quicker. 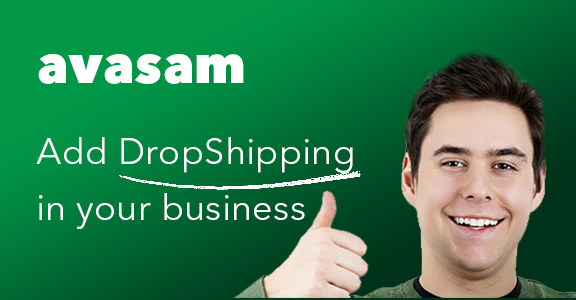 Following Avasam registration, you simply apply for approval from the DropShipper(s) you want to work with. When the supplier has approved you, you can start listing products immediately, so you can be making profits within hours. The Avasam dashboard is simple, and very few users need us once they’re up and running. However, as with all our services, our experienced, accredited support team are available, should you need assistance. Take the stress out of DropShipping. 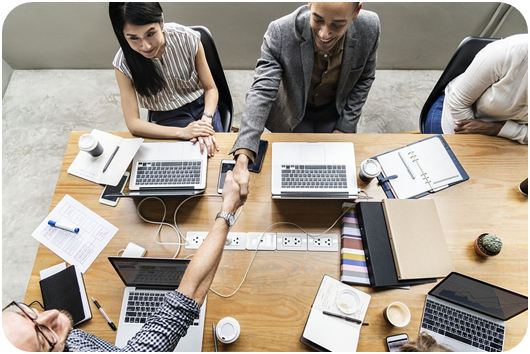 Find partners, streamline processes and maximise your profits – start today. Still want more information before you take the plunge? Get in touch – no question is too daft, no query too small.